In reaction to a book review published by The Wall Street Journal, Enough's Congo researcher Fidel Bafilemba wrote this letter to the editor, "Congo Minerals Policy is Working:"
Jason Stearns's review of Peter Eichstaedt's "Consuming the Congo" (Books, Aug. 27) does not square with the facts in Congo. Contrary to his assertion that the conflict minerals movement has "distracted attention" from reforms in Congo, it has spurred them. 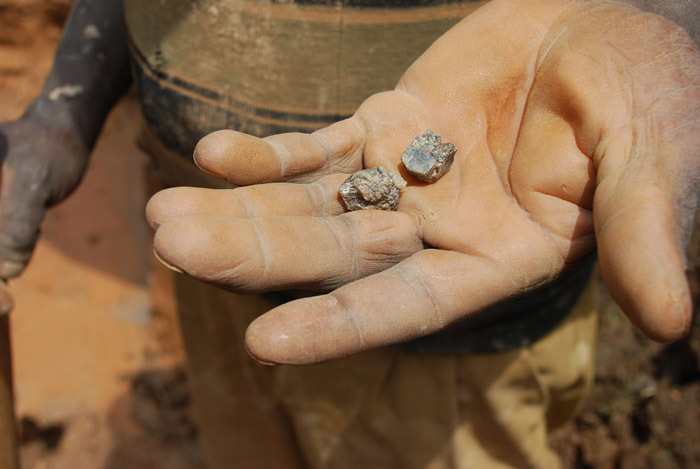 As a civil-society advocate in Congo, I have seen firsthand how the conflict-minerals pressure has caused warlords to pull out of mines. The spotlight has also led to prosecutions of commanders as high up as general for sexual violence and conflict-minerals crimes. Mr. Stearns misses the forest for the trees in saying that the U.S. legislation on conflict minerals was "ill adapted" to Congo. The U.N. Group of Experts, of which Mr. Stearns was formerly a member, rightly called the bill a "catalyst for traceability." Regional governments and minerals traders are now reforming the trade, from certification to mine validation. Companies are also coming back to Congo, with Motorola Solutions the first in a line of firms to establish traceable supply chains. Instead of blaming the movement, we must focus on furthering reform through strong, timely conflict-minerals regulations by the SEC and a senior push from the Obama administration to prosecute war criminals through a specialized mixed court.